David A. Bowles, 83, passed away peacefully at his home on Tuesday morning October 9, 2018. He was the son of Roland R. and Lillian Walker Bowles. He was active right up to the time of his passing. Dave was a lifelong resident of Wonalancet NH. He was home schooled for grades one through three and once the Birch Intervale school was built in Wonalancet he attended through eighth grade when he graduated. Since there was no bus to Kennett High School, he attended Fryeburg Academy before going to UNH where he got his Bachelor of Science degree in Civil Engineering. He began working for the Construction Division of what is now the New Hampshire Department of Transportation in the summer of 1956. In 1959 he was drafted into the Army where served for two years. Upon his return from the Army, Dave worked for NHDOT for 38 years. During this time he was a Resident Engineer on projects all over the State. Most of his projects were road and bridge projects but he was also the Resident Engineer for the construction of the current Cannon Mountain Aerial Tramway as evidence by a plaque with his name on it in the base station. Dave was involved in so many civic organizations that it’s hard to list them all. 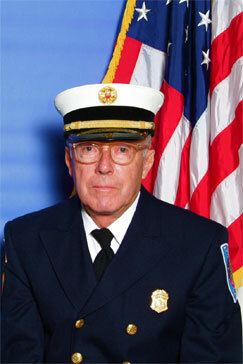 He joined the Tamworth Fire Department in 1962 and was involved right up until his death. The day before his passing he spent the day manning the Forest Fire Warden’s display for the whole day at Sandwich Fair. He was Chief for twenty-seven years. He was elected Fireward North in 1964 and was still serving in that capacity. He was also a founding member of the Tamworth Rescue Squad and was pleased to see the Fire Department and Rescue Squad merged into one department last year. Dave was also one of the founding members of the Ossipee Valley Mutual Aid Association where he served on various committees and the Board of Directors for many years. Dave was born into a sled dog racing family and spent time training dogs in the fall and winter. He participated in several races as well. He served as Chairman of the Tamworth Race for a number of years for the Tamworth Outing Club, helped start the Sandwich Notch 60 Sled Dog Race, and continued to help with the Wonalancet Fun Run Race. In 1968 Dave became interested in snowmobiling when he bought his first used snowmobile which he still owned and ran every year. He was a charter member of the Ossipee Valley Snowmobile Club (OVSC) and the Sandwich Sidehillers Winter Recreation Club. He was president of the OVSC for ten years and one of the trail masters for many more. He became the Carroll County Director for the New Hampshire Snowmobile Association in 2011 and was awarded the NHSA Lifetime Achievement Award in 2011. Right up until his passing Dave was an active member of the Wonalancet Union Chapel. He has been ringing the bell, taking the offering, and served as Vice Chairman and Chairman for many years. Some of the other organizations that Dave was part of at some point, and many of which he was still involved with are: Tamworth Outing Club, Wonalancet Outdoor Club, Carroll County Forest Fire Warden’s Association, Tamworth Historical Society, Tamworth Road Committee, he served on the first official Tamworth Planning Board, Chocorua Village Association, Lakes Region Planning Commission Technical Advisory Committee, the Cotton Valley Rail Trail Club, and probably others. Dave had many interests and was always trying new things. Being a lifelong downhill skier, after he retired he decided to try snowboarding. He liked it enough after the first time to buy a used snowboard and practice in his field. He always liked trains and so again after he retired he bought a very used motor car, did some work on it and took to riding the rails. Just this past summer, since Betty wouldn’t ride with him on his 1959 BMW motorcycle anymore, he bought a CanAm Spyder three wheeled trike and gave her a ride. Dave was a true public servant and a devoted neighbor, husband, father, and grandfather. Whenever Dave was recognized for something he always pointed out that he could never have accomplished all that he did without his wife Betty. He is survived by his wife of 57 years Elizabeth (Betty) French Bowles, daughter Susan Bowles, Son Jim Bowles and his wife Diane, daughter Marsha Bowles Colcord and her husband Richard , grandchildren Jesse and Nick Colcord, grandchildren Michael and Kim Bowles, and new great granddaughter Carter Grace Colcord. He is also survived by his sister Barbara Simoneau, and his brother Bruce Bowles. Per Dave’s wishes there will be no calling hours. The funeral service will be held at 11:00 am on Saturday, October 20, 2018 at the Tamworth Congregational Church at 28 Cleveland Hill Rd. followed by a reception at Runnells Hall on Runnells Hall Rd. in Chocorua. Donations in lieu of flowers may be sent to the Tamworth Firemen’s Club, 132 Chinook Trail Tamworth NH 03897, the Ossipee Valley Snowmobile Club, or one of the other organizations that Dave was involved with.